Two sided sketch. This is side B. 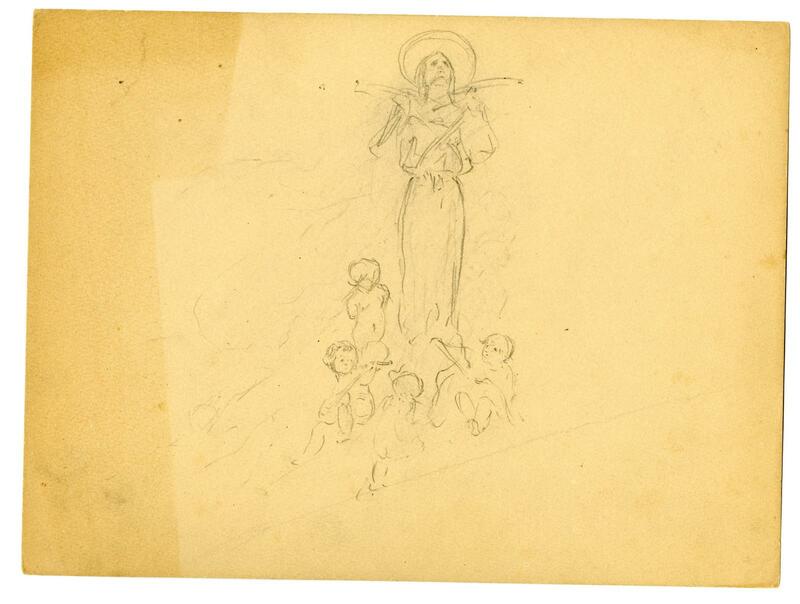 On side B, one angel looks upward while children surround her at her feet.